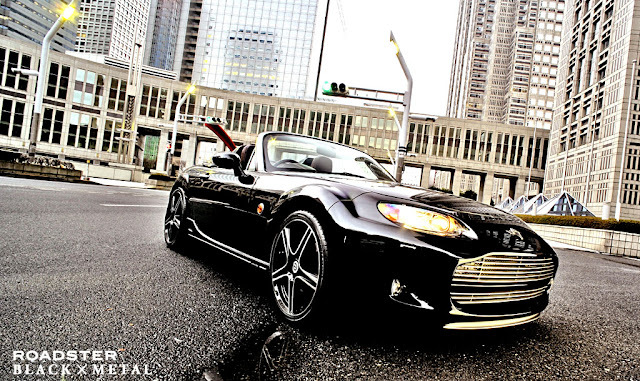 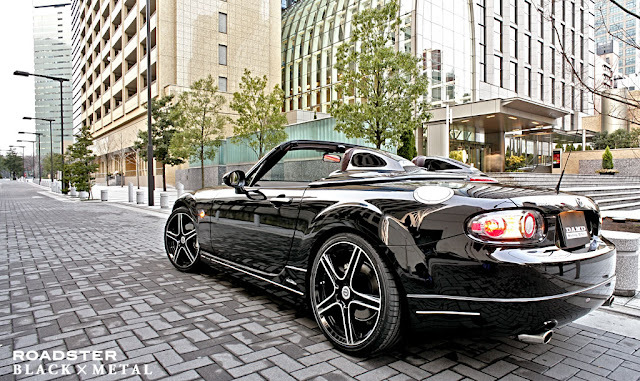 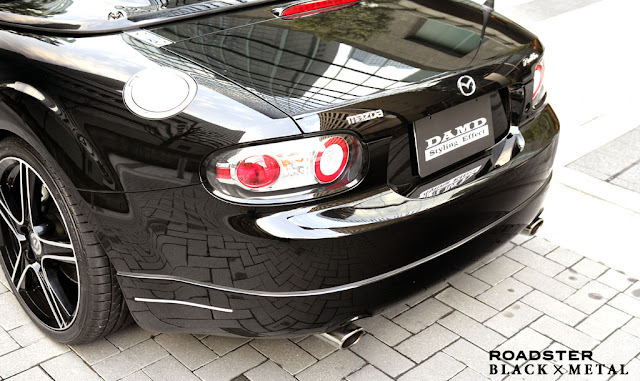 Japanese aftermarket tuning company DAMD (Dream Automotive Development & Design) worked with Mazda to produce a concept unveiled at the 2006 Tokyo Auto Salon, and shown again in 2007. 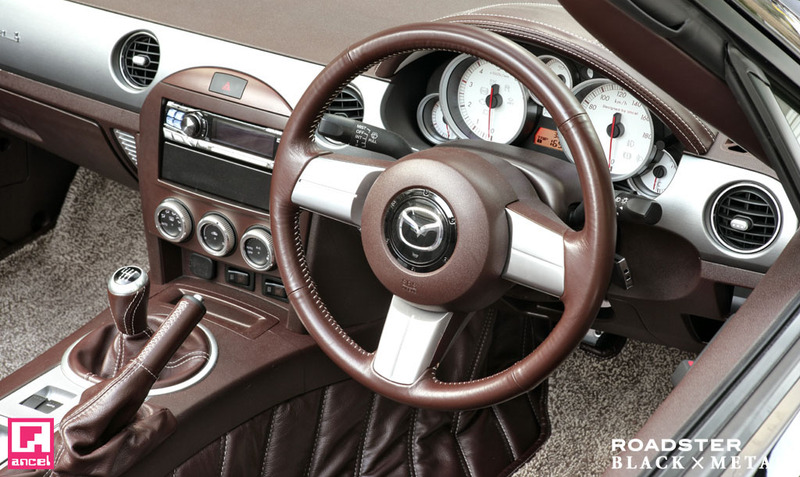 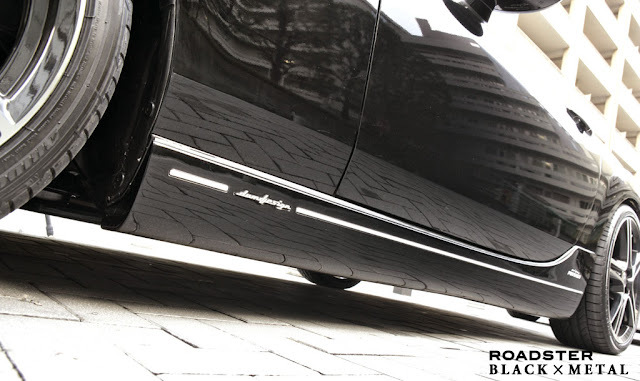 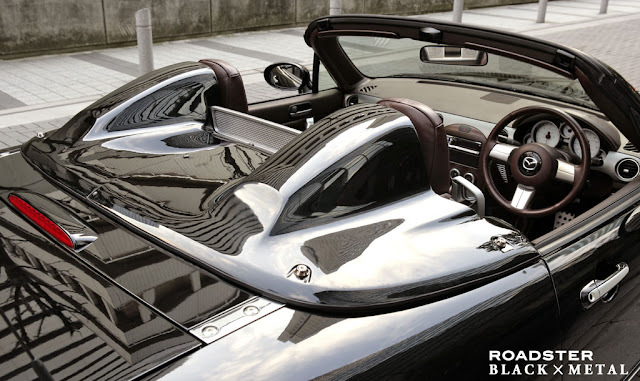 The car was based on a radiant ebony VS Blaze edition and was used as a showcase demonstration of DAMD's "Styling Effect" kit, and their Ancel custom interior work. 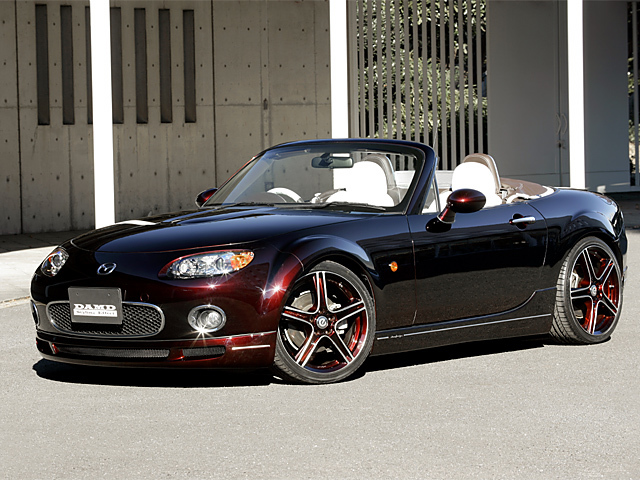 The exterior styling additions include front and rear bumper lips, side skirts, chrome grille and foglight surrounds. 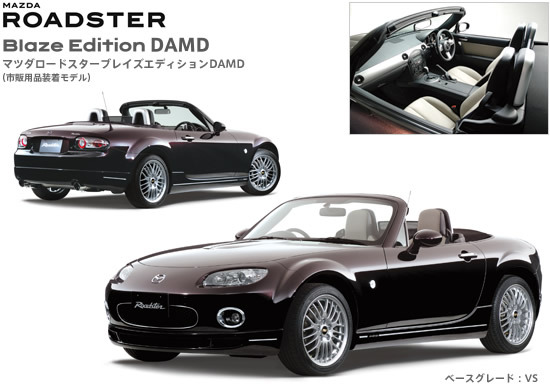 The concept was supposed to give a more upmarket premium feel to the Roadster, and was also shown to be able to fit a set of golf clubs in the boot. 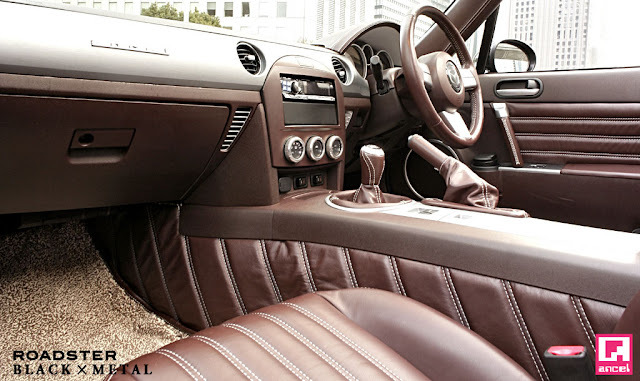 The interior is bespoke brown and white leather. 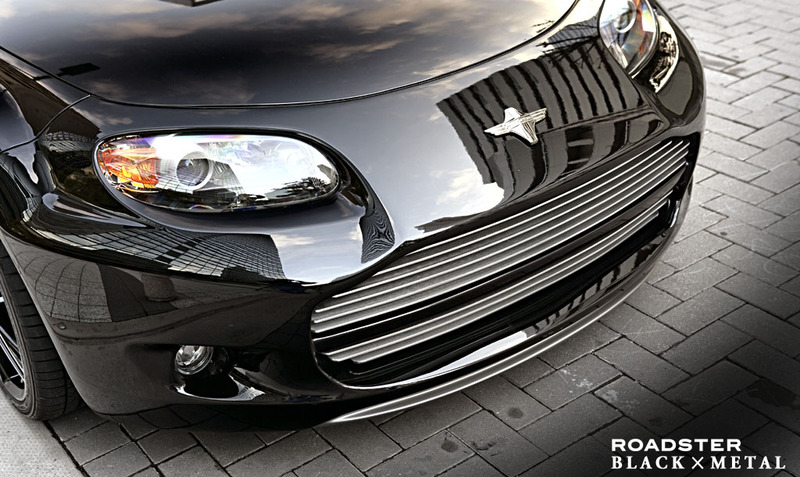 DAMD also produce a more extensive bodykit range known as "Black x Metal". This kit replaces the front bumper to give a completely different (some say Aston Martin type) look to the car. An enlarged rear deck cover is also available. 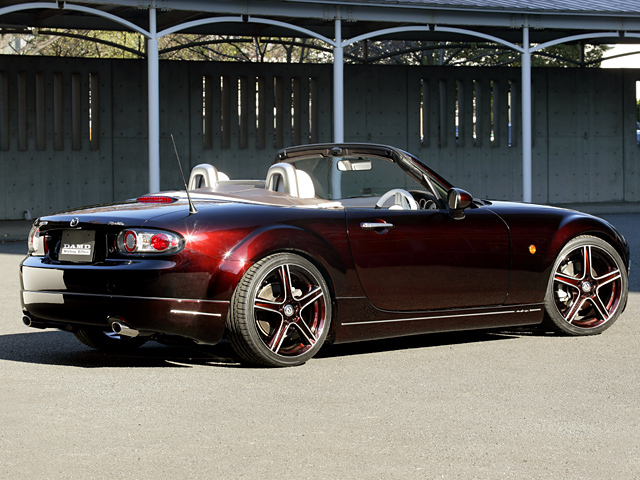 Not quite to my taste, but ideal if you want your Roadster to have an even more unique look. The demo car also features a fully customised luxury brown leather interior by Ancel.